The Islamic Center of Morrisville was founded in Ramadan of 2009 in order to serve the Muslim community in Morrisville, West Cary and RTP in North Carolina. By the Grace of Allah, during the past six years the community has grown tremendously. ICM welcomes all residents of the RTP area, regardless of their backgrounds, and offers a variety of Islamic programs for all age groups. Currently, the Jumuah prayer is held in seven shifts at two locations to allow everyone to attend the Friday prayer. Four shifts of the Friday prayer are held at the ICM Facility and three shifts are held at the Four Points Sheraton location. ICM offers a variety of Islamic programs for everyone in the community. The youth can enjoy weekly programs, including halaqas (short lectures), games, sports as well as many outings. Women in the community have the opportunity to get together to learn on a weekly basis. 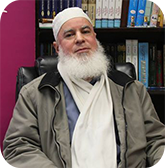 The ICM imam, Abdenasser Zouhri, offers Quran classes and halaqas regularly. He gives short talks (khatiras) after fajr and Isha prayers. He also teaches Quran classes in the musallah (prayer hall). ICM hosts a Sunday School Leadership program, Al Mizaan Leadership Academy. This program offers Quran, Arabic, Islamic studies and leadership skills, all taught by dedicated volunteers from the community. Weekly youth programs include: an elementary school halaqa held on Tuesdays, Middle school Girls and Middle School Boys halaqas, Boys’ Night on Fridays and Girls’ Night on Saturdays, all held at ICM.